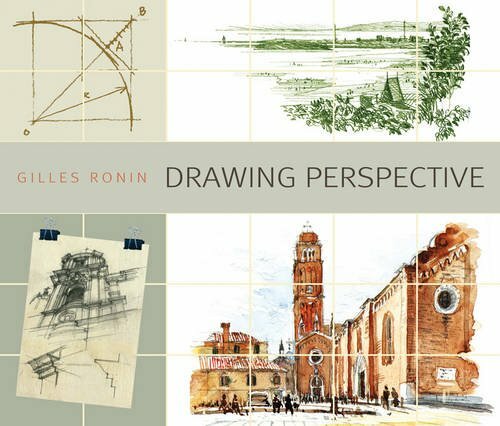 This fantastic guide to perspective is perfect for all painting and drawing enthusiasts. Covering everything from how to paint and draw freehand from nature without losing perspective to representing spacial structure, this book is suitable for both beginners as well as more experienced artists. It applies the principles to real examples as well as theoretical exercises and covers a range of different perspectives including frontal to vanishing point, oblique to two vanishing points, views from above and curving.This book is the perfect companion to our other drawing titles the Art of Botanical Drawing and Drawing for Interior Designers. Gilles Ronin is an architect and teaches at Ecole d'Architecture des Beaux Arts in Paris. He is also the author of our fantastic forthcoming title Drawing for Interior Designers.